• District 1, known as Altstadt, contains the old town, both to the east and west of the start of the Limmat river. 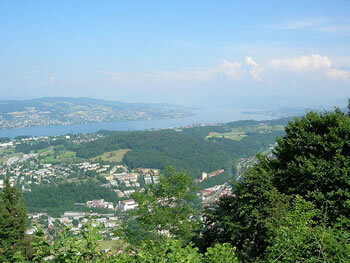 • District 2 lies along the west side of Lake Zurich, and contains the neighborhoods of Enge, Wollishofen and Leimbach. • District 3, known as Wiedikon, is between the Sihl river and the Uetliberg, and contains the neighborhoods of Alt-Wiedikon, Sihlfeld and Friesenberg. • District 4, known as Aussersihl lies between the Sihl and the train tracks leaving Zürich Hauptbahnhof. • District 5, known as Industriequartier, is between the Limmat and the train tracks leaving Zürich Hauptbahnhof, it contains the former industrial area of Zürich which has gone under a large-scale rezoning to create upscale modern housing, retail and commercial real estate. • District 6 is on the edge of the Zürichberg, a hill overlooking the eastern part of the city. District 6 contains the neighborhoods of Oberstrass and Unterstrass. • District 7 is on the edge of the Adlisberg hill as well as the Zürichberg, on the eastern side of the city. District 7 contains the neighborhoods of Hottingen and Hirslanden. 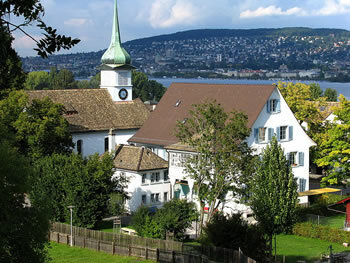 • District 8, known as Riesbach, lies on the eastern side of Lake Zurich. • District 9 is between the Limmat to the north and the Uetliberg to the south. It contains the neighborhoods Altstetten and Albisrieden. • District 10 is to the east of the Limmat and to the south of the Hönggerberg and Käferberg hills. District 10 contains the neighborhoods of Höngg and Wipkingen. • District 11 is in the area north of the Hönggerberg and Käferberg and between the Glatt valley and the Katzensee (Cat's Lake). It contains the neighborhoods of Affoltern, Oerlikon and Seebach. • District 12, known as Schwamendingen, is located in the Glattal (Glatt valley) on the northern side of the Zürichberg.